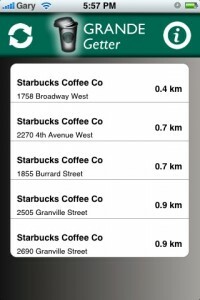 Remember the free app TimmyMe, which would help you Tim Hortons lovers locate a location near you for your double-double fix? 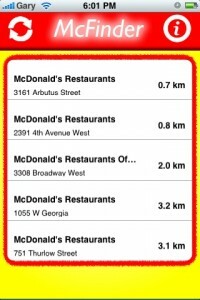 Well, the company behind TimmyMe, iDelux.ca has come back again with couple more free apps for you Starbucks and McDonalds lovers. Employee: Well, better make it quick, kiddo. In five minutes this place is becoming a Starbucks. Bart gets his ear pierced, and has a diamond-shaped clear stone inserted into the new hole. As he leaves the store, it, like all of the other stores above and around it, is transformed into Starbucks. Today, in major urban centres across the country it’s not hard to find two Starbucks locations across the street from each other (think Robson St. in Vancouver). However, what about when you’re away from the city and on a road trip? That’s where Grande Getter comes into play. The app uses your location to find the 5 closest Starbucks locations around you! 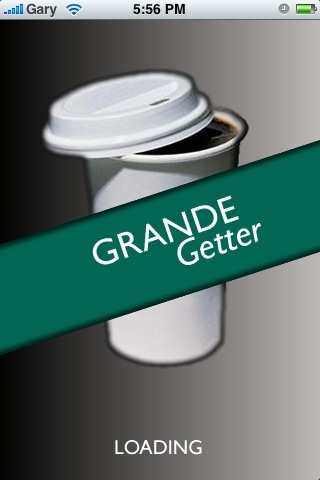 Now when you have a Starbucks craving you can enjoy your tall, triple shot, extra-hot, non-fat, first steam, caramel macchiato easily with Grande Getter. 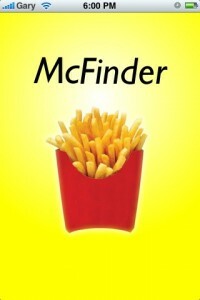 If you’re addicted to Tim Hortons and Starbucks, then chances are you also might be addicted to McDonalds too (or not). 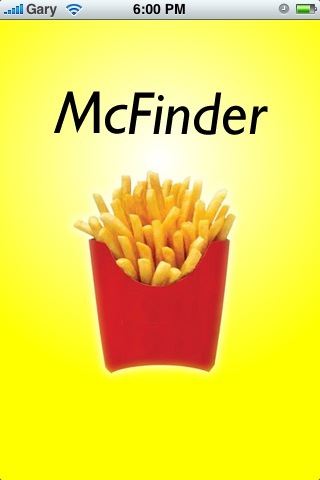 For those who can’t get enough free smiles in a day from McDonalds can now locate the 5 closest Rotten Ronnies with McFinder. The app works the exact same way as Grande Getter and TimmyMe. 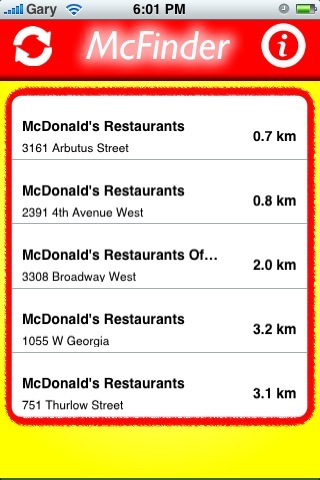 Using your location on the iPhone you’ll be eating delicious Big Macs and 100s of nuggets in no time. Just make sure you supply your own stomach pump and have a defibrillator on standby when you have suffer a heart attack.